It takes all of eight seconds for James Ferraro to take you completely into his world. 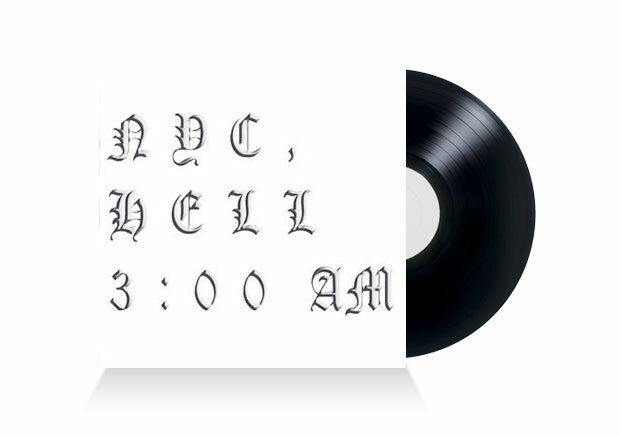 Hell, NYC 3am begins with disembodied, robotic female voice intones the word ‘money’ over and over again, before the sound parts into a sad, crackling midnight street scene. From there, the bleakness is unremitting. Where his incredibly alienating hyperbright 2011 release, Far Side Virtual, used the sickly sheen of computer start-up sounds and new-age coffee machines to both send up and commune with the gaudy meaninglessness of millennial technology, N.Y.C. uses grim drones, unresolving melodies and the most inhuman sound of them all (autotune) to stare deep into the techno-cultural abyss. This is dank, dark and sometimes frankly upsetting listening, but few are brave enough to set the controls for the heart of the information age, let alone return with such a black, dripping heart of a record. If you can make it through Hell, you’ll leave a piece of your old self with it. Is there anything more real that’ll happen on a record this year than a shifting, half-heard club anthem cut off suddenly by a voiceover announcing ‘Toyota’? Music needs to be this uncomfortable, this real, this ready to make the familiar terrifying. Listen to it while on Facebook.